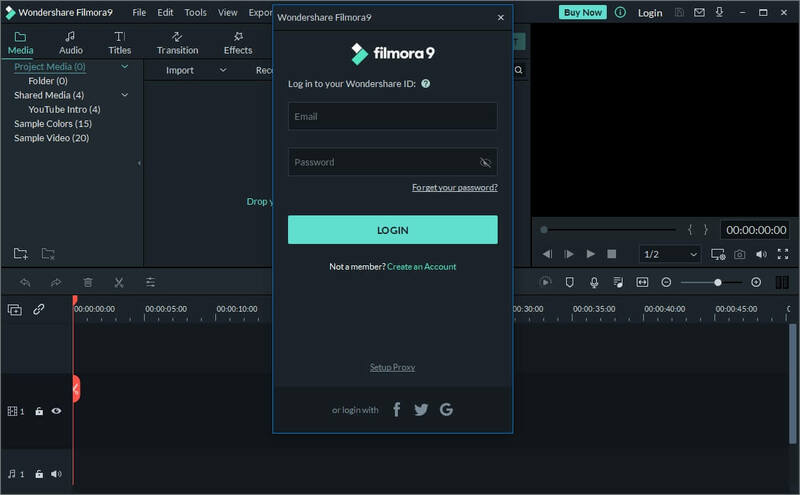 First, you must download and open Filmora9 on you PC or Mac. Open Filmora9 and choose New Project on the start menu. A registration window will pop up. Click on Create Account. 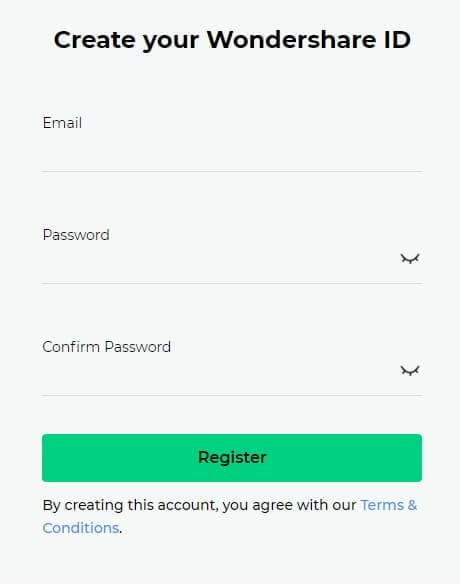 Enter your email address and create your password. Make sure you've agreed to the license agreement before you hit Register. Click the Twitter icon, enter you Twitter ID and password, and choose “Authorize this app”. 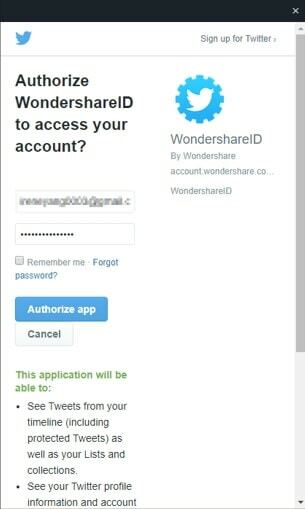 Then, connect your Twitter account to your Wondershare ID using an email address (this email address will become your Wondershare ID, so make sure to remember it) and hit Next Step. Follow the online guide, and then click ‘Connect and Register'. You will then be logged in. Next time you can either log in with your Twitter account or with the email address you provided. Visit https://www.filmstocks.com/ and then click the Login menu at the top to open the login page. 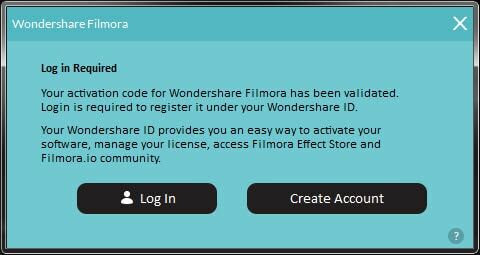 Go to the bottom of the Login page and click Create one now to register a Wondershare ID. Follow the instructions and enter your email address to register. Your email address will be your Wondershare ID.